With over 25 years of experience as an architect and urban planner, Margaret Newman recently joined ARUP as an Associate Principal with the Integrated Planning team in New York. Working across the many disciplines of engineering and design, Ms. Newman is designing public realm projects that are not only strategic and economical, but also projects that prioritize people to better integrate planning and transportation into the fabric and context of cities. 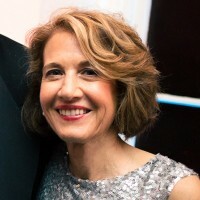 Prior to joining ARUP, Ms. Newman headed up her own consulting firm More Urban, advising on design, urban planning, and development projects and served as Executive Director of the Municipal Art Society of New York, advocating for excellence in all aspects of the built environment. Under Mayor Bloomberg and Commissioner Sadik-Khan, Ms. Newman served as Chief of Staff at the New York City Department of Transportation where she directed major agency projects including the capital construction plan for Times Square. She received a Master’s degree in Architecture from Princeton University, is a certified LEED AP, BD+C professional and a Fellow of the American Institute of Architects.